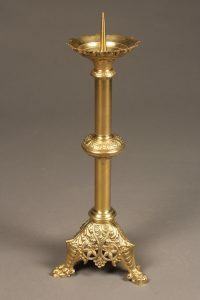 19th century French Gothic styled brass candelabra. 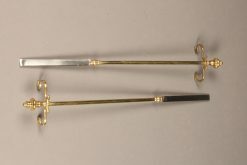 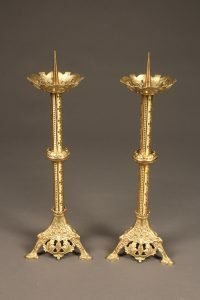 Pair of French Gothic style brass candelabras. 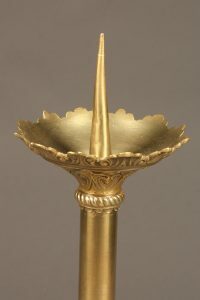 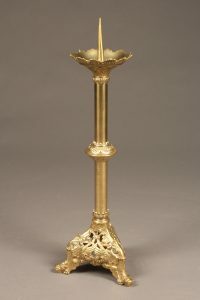 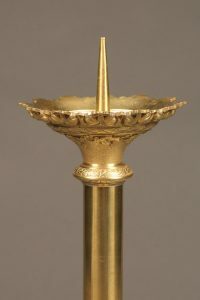 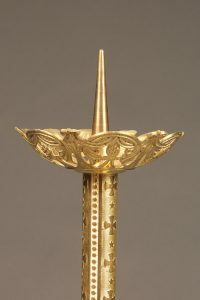 French Gothic style brass church candelabra. 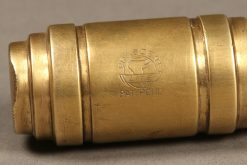 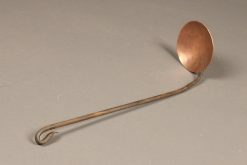 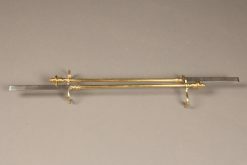 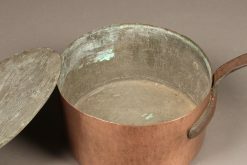 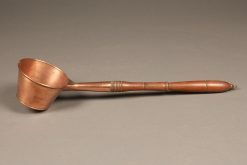 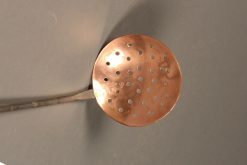 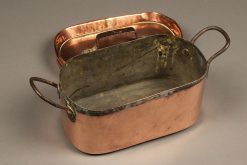 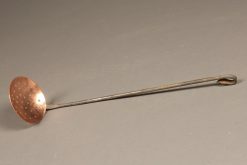 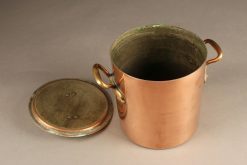 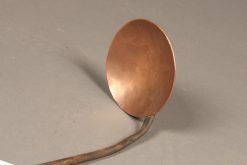 Mid 19th century copper and iron shallow dipper. 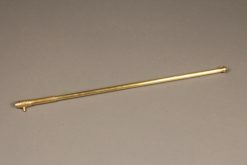 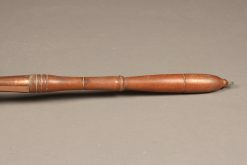 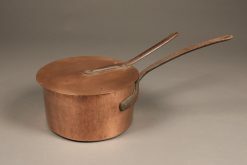 Dutch copper dipper with wooden handle. 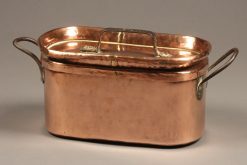 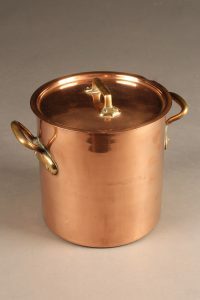 18th century French hand wrought copper daubiere with lid. 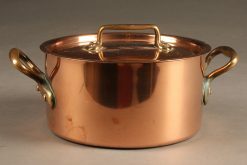 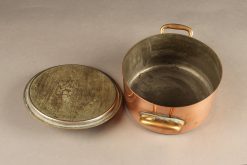 Mid 19th century French copper pot with lid.